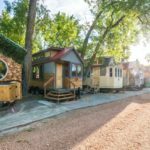 If you’re a fan of pink flamingos in your yard — and, really, who isn’t? — then we’ve got some exciting lawn ornament news for you. 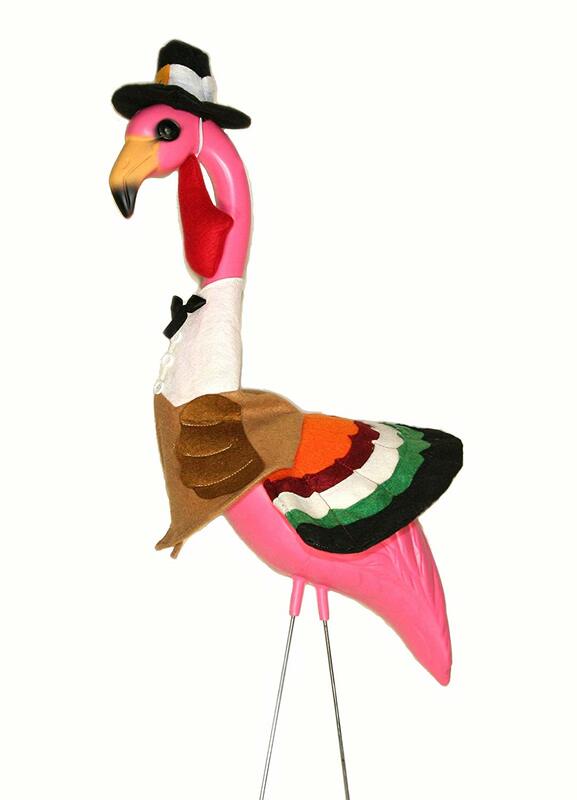 You can now have a Thanksgiving-themed flamingo decorate your digs, thanks to the TurkeyMingo. 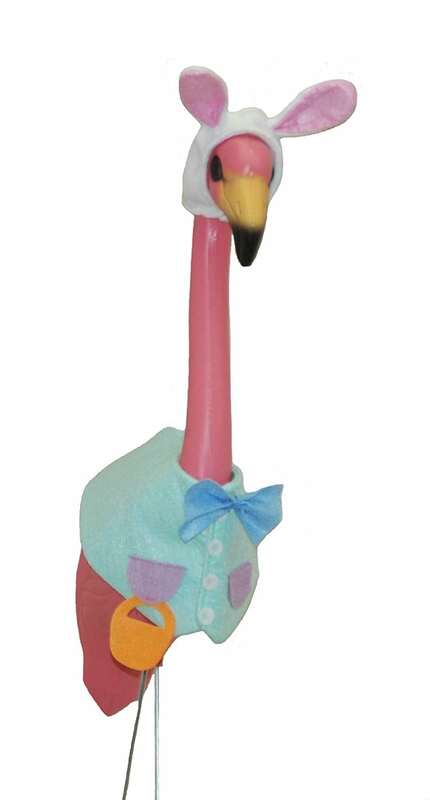 Yes, this mashup is exactly what it sounds like: a plastic flamingo disguised as a turkey. 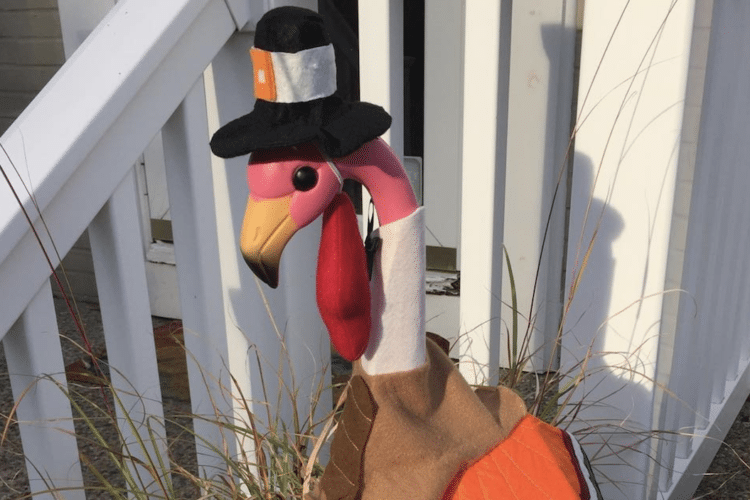 Oh, and as if that wasn’t enough — the TurkeyMingo also happens to be dressed as a pilgrim. It’s sort of a turkey/flamingo/pilgrim hybrid. Trust us, it’s cute. Decorating your yard with a lawn ornament like this is sure to get you noticed! Based on the reviews online, people love their TurkeyMingos. “He is perfect … love the costume and the colors are exceptional … he is going to be the center of my pumpkin patch yard decor for Thanksgiving! Going to put up right after I take down Halloween after 11 pm so everybody can see him,” one satisfied customer wrote. The only issue people have is getting its costume to stay on. 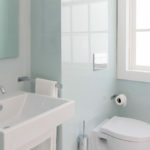 Some are recommending double-sided tape or a hot glue gun to get the job done! The fun doesn’t stop here, either! 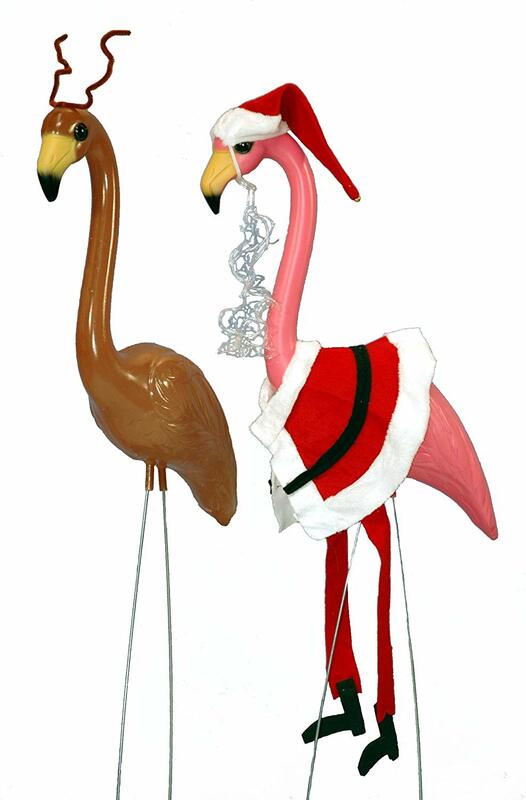 TurkeyMingo creators Pink Inc. offer Christmas, Easter and more holiday options for flamingos, so that you can keep your lawn seasonally appropriate all year long. 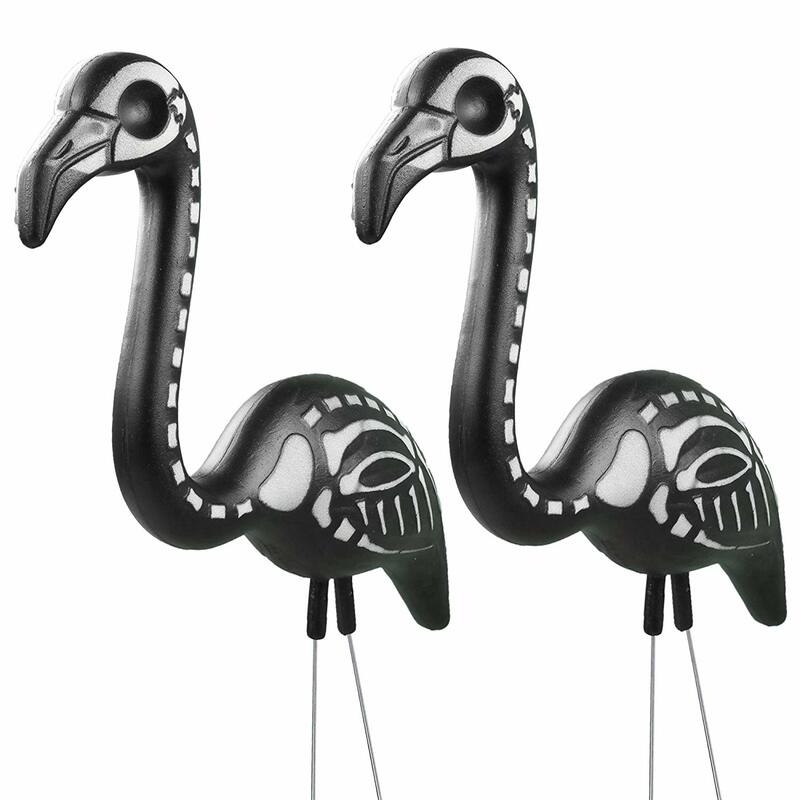 These other flamingos are available to shop on Amazon, as well. We don’t know about you, but we never knew lawn ornaments like this existed. 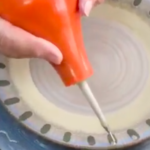 It turns out that decorating for the holidays is easier than we ever imagined. If you happen to be more into traditional decor, you can check out these beautiful wreaths to get your home ready for fall.